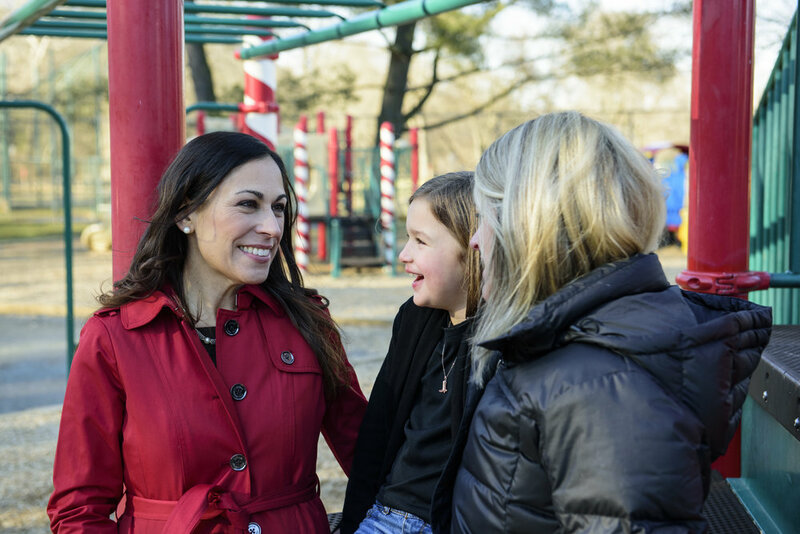 As a public school parent, member of the PTA, and former President of the Board of Directors at the Esther Peterson Child Development Center at the U.S. Department of Labor, Leslie will be a fierce advocate for improving our schools in the short term. We need to end the false narrative that our schools are the best of the best because it allows for us to ignore serious issues. Our teachers are excellent, but we set them up for failure by giving them overcrowded classrooms with little to no support staff. Certain school buildings are failing. We must do better. Reduce classroom size by capping the allowable student-to-teacher ratio. Ensure that MCPS schools are healthy and safe for children, such that any HVAC, mold, or other building problems creating unhealthy spaces are addressed immediately using state dollars. Establish a gun violence prevention task force with stakeholders from schools, PTA, and law enforcement to address safety concerns starting in 2019. Increase school support staff and para-educators by bringing back more state dollars for school funding. Establish a grant/foundation-seeking authority so that our schools can partner with technology companies to offer our students targeted, high-level STEM enrichment. Prioritize mental health funding for middle schools and high schools. Work to establish universal Pre-K through partnerships with existing Pre-K providers.